Ever dreamt of a room dedicated to all your favourite pinball tables? Ever imagined that it could be possible all via your very own beautifully crafted and fully customised King-Pin pinball machine? 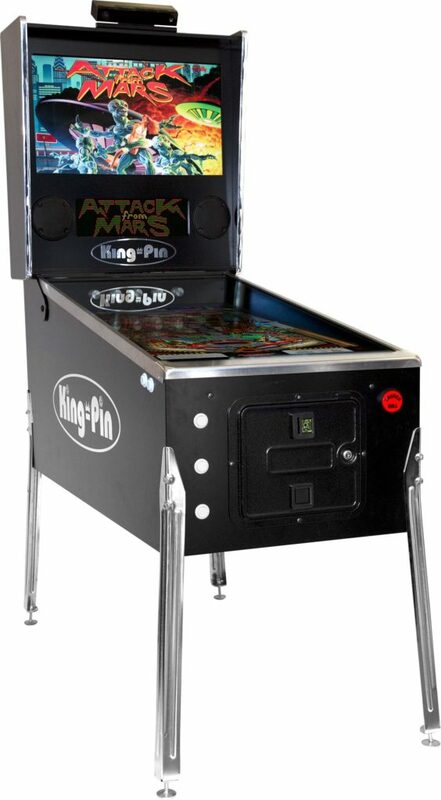 After years in development, Bespoke Arcades are proud to present our King-Pin virtual pinball table. Made by hand in the UK and assembled with all genuine pinball parts, the wide body build of the King-Pin will feel luxuriously familiar to pinball aficionados and novices alike. 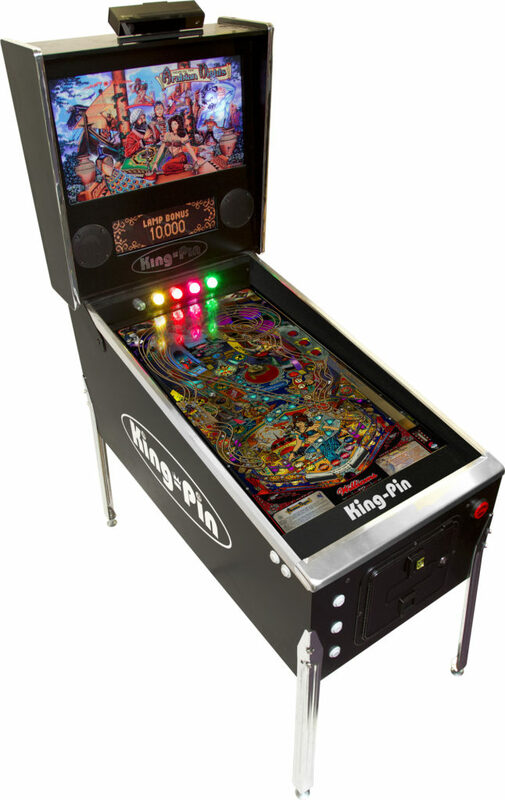 The King-Pin is configured to embrace the wealth of official and open source pinball gaming. It can be made to run all the classic tables you know and love as well as a wide range of new ones. 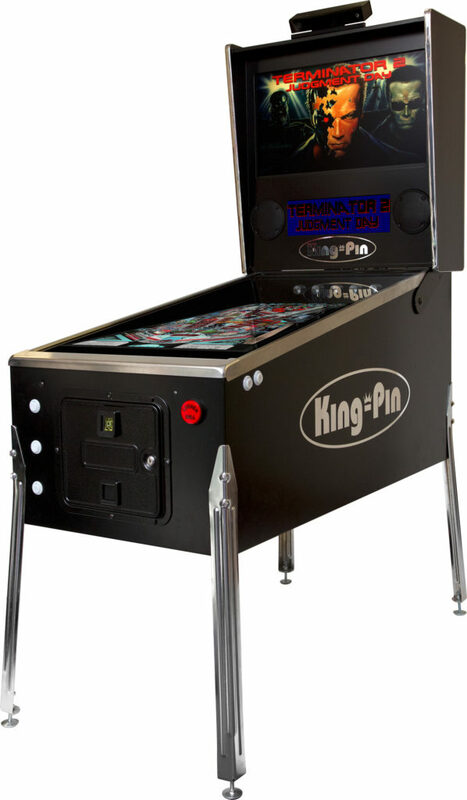 As lovers of original pinball tables, King-Pin is not an attempt to replace any original table. It was created to provide an alternative that actually allows for a far greater scope of pinball gaming. Advances in technology have enabled virtual pinball to equal and in some ways surpass the possibilities available on an original table. The dream of fully authentic virtual pinball has now become a stunning reality. Feel all those familiar vibrations of the flippers, bumpers and slingshots. Be dazzled by the lightshow of RGB flashers and integrated DMD score field. Plunge the ball up the table and see it move with full tilt/nudge effects. Take it to a new world with 3D tracking providing amazing playfield depth. You are guaranteed to be amazed by the effects that you will see, hear and feel from our King-Pin! Legs, side rails, hinges, lock-down bar in metallic or colour coated. Logos or not, set graphics or have one created just for you. Satin or high gloss in any RAL colour. Wood veneer also available.